WIT4Impact: "Civil engineering is a rewarding profession for me as a woman"
"Nowadays, there are few organizations supporting women working in the civil engineering industry; UNOPS being one of them. 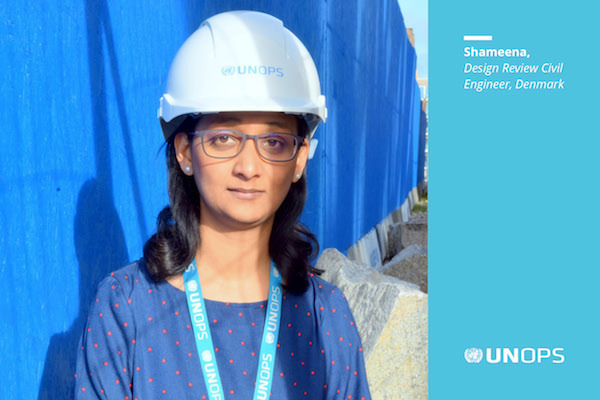 As a woman, I feel well integrated and supported by the organization", says Shameena - Design Review Civil Engineer, UNOPS, Copenhagen, Denmark. Read about how she built a career as an engineer at the United Nations.